John M. Perkins was born into Mississippi poverty, the son of a sharecropper. He fled to California when he was 17 after his older brother was murdered by a town marshal. Although Dr. Perkins vowed never to return, in 1960 after he accepted Christ, he returned to his boyhood home to share the gospel of Christ with those still living in the region. His outspoken support and leadership role in civil rights demonstrations resulted in repeated harassment, imprisonment, and beatings. Today, Dr. Perkins is president of the John and Vera Mae Perkins Foundation of Jackson, Mississippi. He is one of the leading evangelical voices to come out of the American civil rights movement. He is also an internationally known author, speaker, and teacher on issues of racial reconciliation and Christian community development. Despite dropping out of school in the third grade, Dr. Perkins is an author and international speaker and teacher on issues of racial reconciliation, leadership, and community development. For his tireless work, he received honorary doctorates from Wheaton College, Gordon College, Huntington College, Geneva College, Spring Arbor University, North Park College, and Belhaven College. In 2006, he was named distinguished visiting professor at Seattle Pacific University. Let Justice Roll Down by John Perkins He is the author of nine books including A Quiet Revolution, Let Justice Roll Down, With Justice For All, Beyond Charity, He’s My Brother, Resurrecting Hope, and A Time to Heal. He has written numerous chapters in other books. 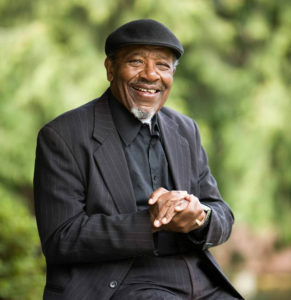 John Perkins formally served on the board of directors of World Vision, Prison Fellowship, National Association of Evangelicals, Spring Arbor University, as well as 15 other boards. In 2004, Perkins partnered with Seattle Pacific University to launch the campus-based John Perkins Center for Reconciliation, Leadership Training, and Community Development.